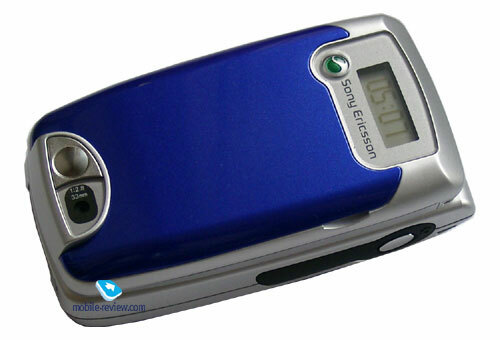 As many manufactures Sony Ericsson repeated a traditional scheme and announced a model similar to one that is available on the market, but made it in the other form factor. 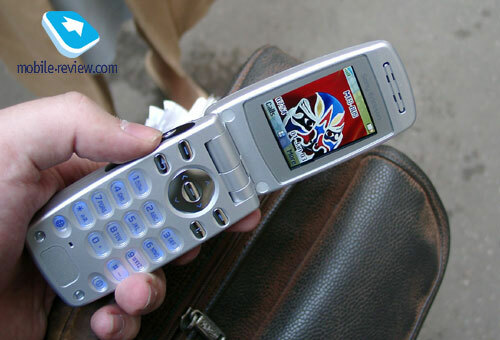 Z600 is basing on the one of the most functional phones – T610. It was placed in a clamshell. Technological function remained the same except one feature: STN-screen, which was blurred under the Sun, was changed to TFD-display. Let’s think who is the main target group of this phone and what functions it offers to the consumer. This phone is related to one of the first clamshell handsets with an integrated antenna. 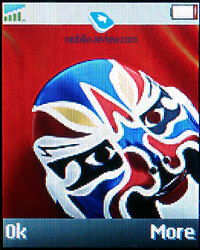 Until recently only such models as Samsung E700, Motorola V700 could offer this solution. Later the number of these models will be increased, but till the end of the year there will be no rivals to mentioned handsets. It seems that removing of internal antenna should’ve reduced dimensions of the phone, but in reality it is not so. The phone has rather massive size - 90х48х27.9 mm. First two parameters are typical to the phones of this class, but the depth is a little bit larger. On the other hand, the phone is handy and fits the palm. Disproportion is not felt. The handset weighs 110 g., not the lightest one. Taking into account that the phone is aimed to gentlemen (it is expected that up to 95% of all buyers will be gentlemen), dimensions and weight of the phone do not play any considerable role while choosing the model. According to the company portrait of the typical user of this handset is the following: a man who is 25-45 years old, successful in life and need as many functions in the phone as possible. He likes things of unusual design, prefers clamshells. We think that if compare number of potential consumers of this model and users of T610 in Europe, audience for Z600 will be two or may be 1.5 times lesser than for T610. Keep in mind that T610 is a bestseller in its class. It means that Z600 will have high sales in its class. If you try to describe your feelings after you took the handset for the first time, you will say that it is heavy and uncomfortable (because too thick). But in few minutes you’ll probably change your opinion and the phone will seem convenient and handy. It is necessary to remember that not many people wear the closed phone constantly in hands; the vast majority takes it just to make or receive a call and open the phone. Surely Z600 is convenient in the open mode and it is a big advantage of this model. Potential target group of the phone was widened due to interchangeable covers. This solution have been already realized in several models before but it was not known to the public (Motorola v60 is an exception because these accessories was really a rarity). Totally the company presented 4 main colors of the phone; each one has two extra covers (Style-Up) (one front and one back cover), which are available in the standard delivery kit. These covers could really change a phone’s appearance. It looks as austere handset with a one-colour cover, pink cover makes it look sportive. Two covers in the standard kit is a great advantage of this handset and a clever move of marketing managers because not many consumers buy interchangeable covers afterwards. It’s rather easy to remove covers; they are well-fixed and have no backlash. The quality of the plastic is very high. Sides of the handset are painted in one silver color. 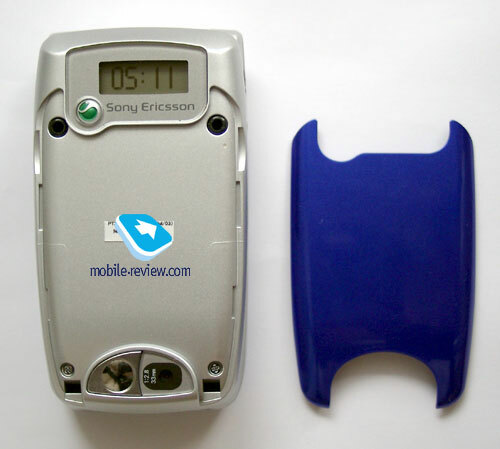 Keys, placed on the sides of the phone are made of black plastic. It’s also an original design solution. You can see an external display on the external cover. It is not large and has a rectangular shape. You can see clock in the standby mode on the screen. If you use side keys, you will seen a date, signal level, battery status and selected profile. The display contains up to 1 text line and 1 line with service icons. It has a blue backlighting. Dimensions of the external screen and its monochromic color aroused active discussions. We think that applying of this display is understandable, as it very functional and consumes minimum power. We can’t say that it has scarce features. Generally speaking, color external screen is just a fashion (or entertaining) function. 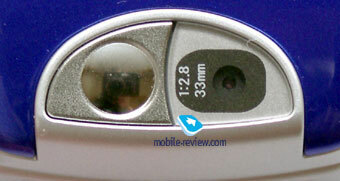 Camera and a small window to take pictures of yourself are placed on the bottom of the handset. You could take a picture only if the phone is opened. To get access to photo camera, you should use a special key located on the right-hand side of the handset. IrDa is situated nearby. Volume key and service indicator are placed on the left-hand side. Aerial adapter covered with a cap is placed on the back side of the handset. There is a strap hole in the phone, I can’t estimate whether it’s necessary or not. 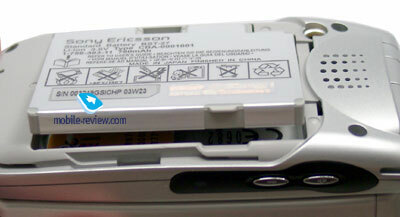 Standard system connector is situated also on the bottom of the handset. Handsfree is connected to the same connector, there is no special one made for it. You can open the phone with one hand. You can hear a typical flick (the same as in Japanese phones) when you do it. The same flick is appeared when you close the handset. An angle of the phone in the open mode is about 10 degrees. As we’ve already mentioned Z600 is equipped with TFD screen, the picture is visible under the Sun; colors are not greatly blurred. The display has a resolution of 128x160 pixels (32x38 mm) that allows to display up to 5 text lines, tips to the soft keys and large headings. The screen of this model is one of the best ones on the market. 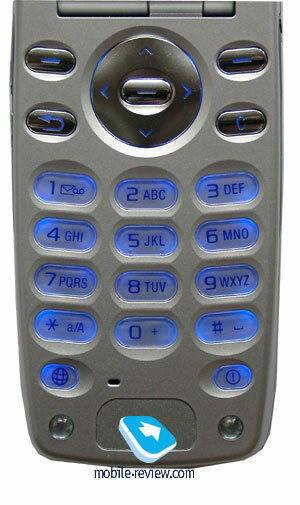 The keypad is made of plastic, all keys are large and well-spaced. It is very pleasant to work with this phone, especially inputting text messages. 4-directional navigation key is rather convenient. Unfortunately, OK key placed inside it is so comfortable. When you press it, sometimes you do not reach the aim. The backlighting is light blue, all characters on the keys are clearly visible. Loudspeaker could be noticed on the back cover of the handset. It is used to play back ringtones. In my opinion, volume of ringtones of Z600 is higher than T610 had. When you remove a back cover, you’ll see a battery. The cover holds the battery. After you take it away, the battery will raised a little bit and you need to make only one move to remove it from the phone. By the way, contact with the phone is not lost, the phone continues to work because contact pads are placed on the sides of the phone. It’s a very unusual construction, which easies life of the user: so, if you like to remove battery, you can do it without problems, but if you just change the cover, you shouldn’t switch off the phone. Z600 is equipped with a new battery - BST-27. It’s a new battery of 780 mAh capacity. According to the manufacturer, it could provide up to 200 hours of standby time and up to 9 hours of talking time. In reality the phone could operated about 4 days in case of 45 minutes of talking and up to 20 minutes of using other applications. If you constantly use bluetooth, the battery life will long about 2-2,5 days in case of the same time of talking. Time of full re-charging is about 1 hour 45 minutes.